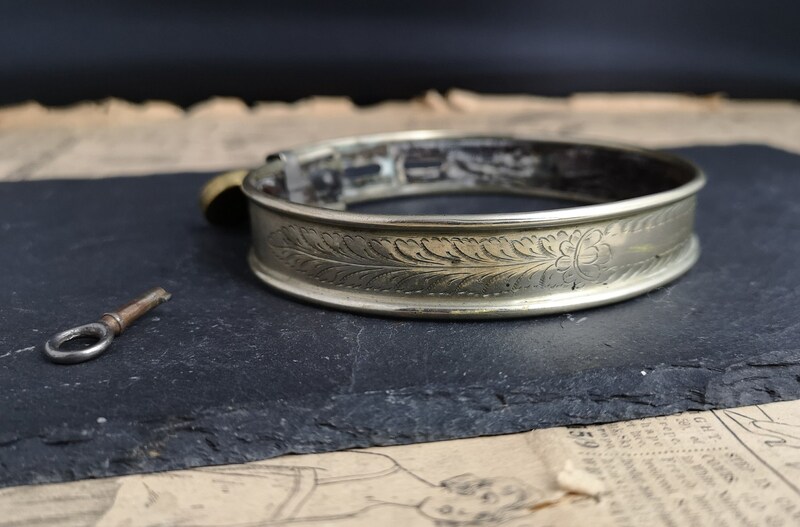 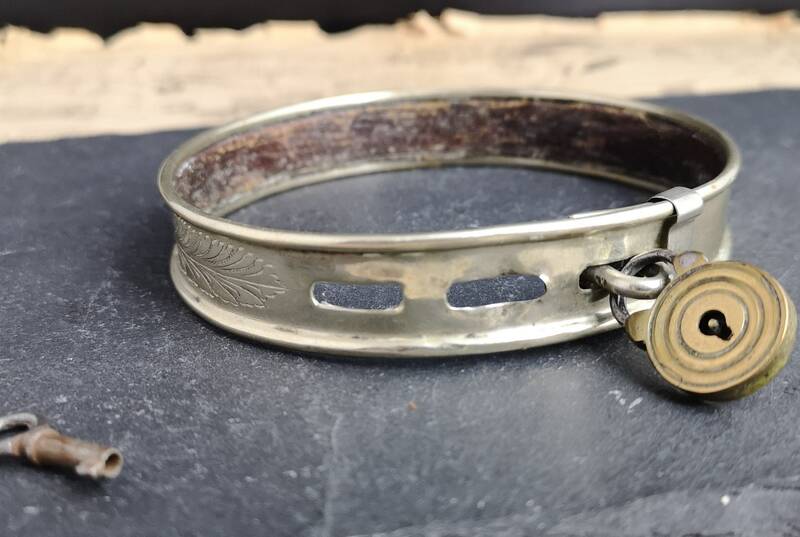 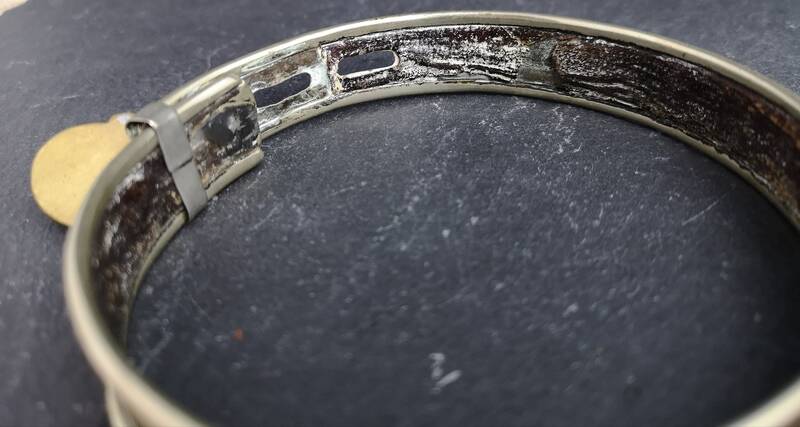 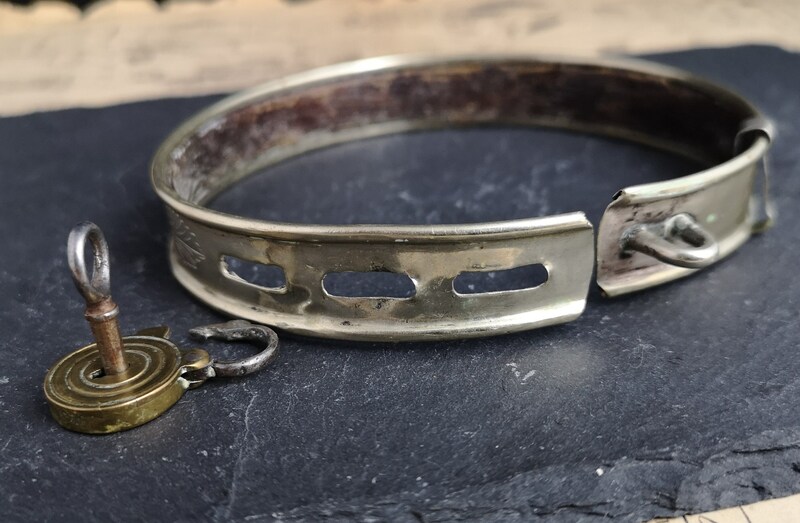 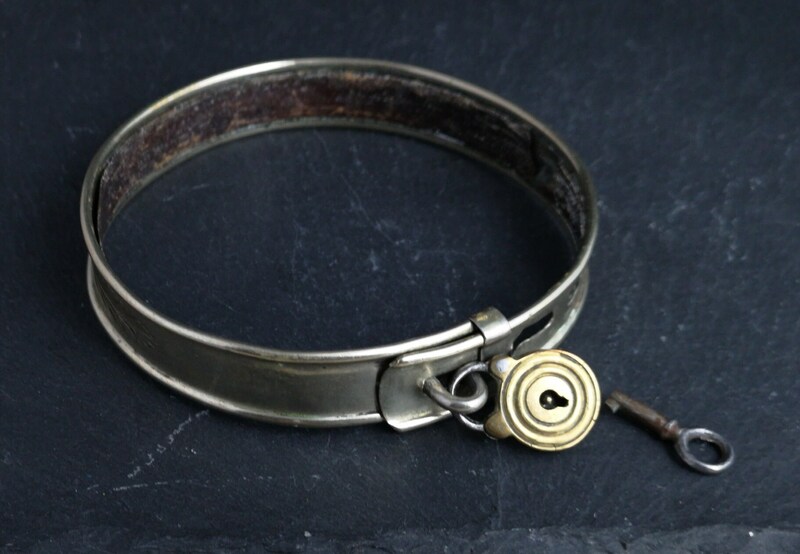 A charming antique Victorian silver plated dog collar. 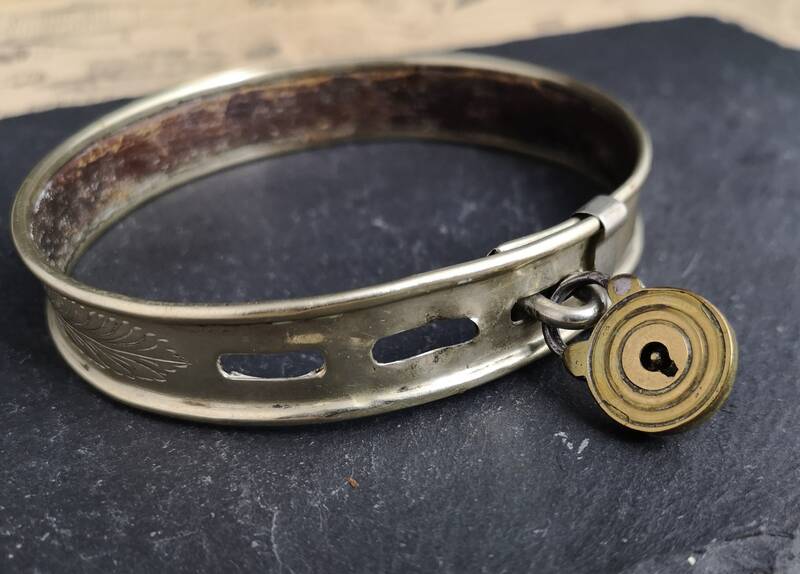 Aesthetic era engraving this beautifully crafted collar is a slice of antique jewellery for your beloved four legged friend. 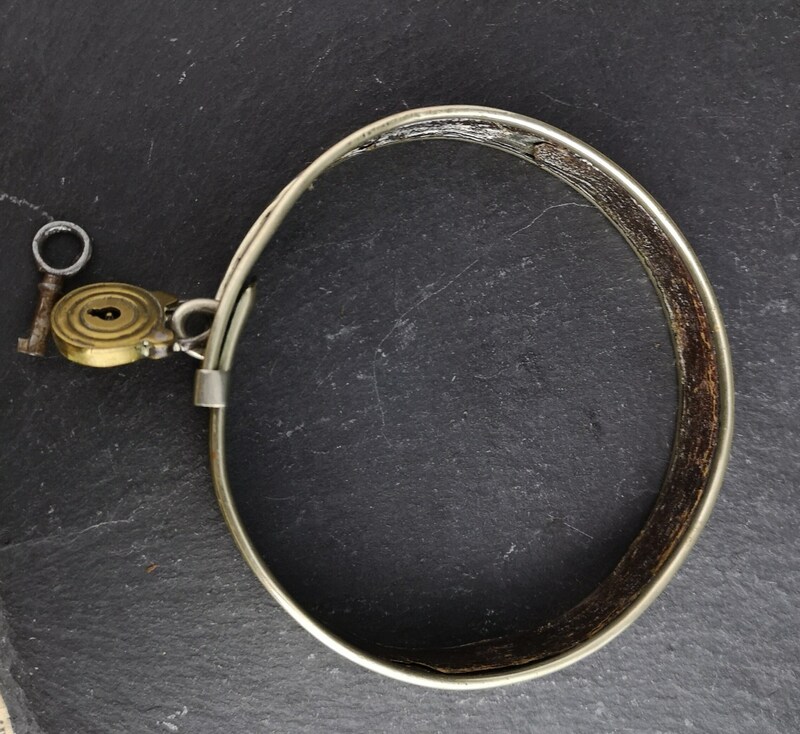 It has pretty engraving, a loop type fastening with 3 different size settings, it has the original brass padlock and key. 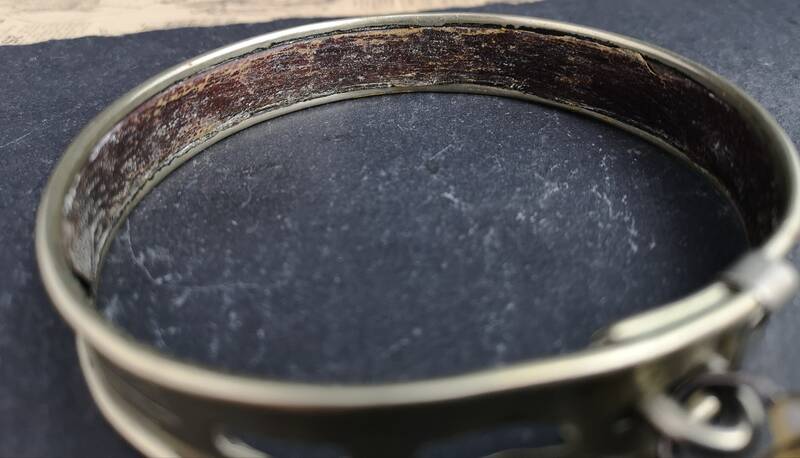 It would suit a smaller breed, it is leather lined for comfort and the leather is very soft but shows some wear in places. 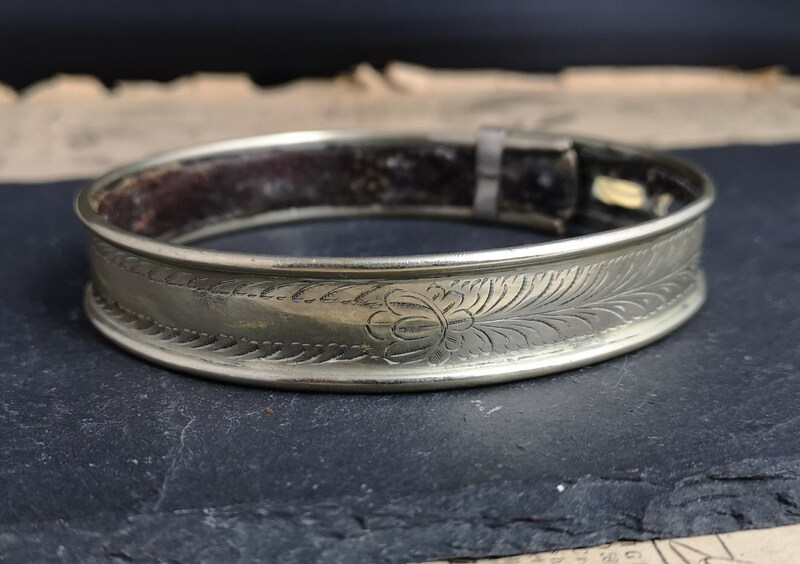 Silver plated brass with a touch of the brass showing through though this gives it a nice look, it has no names engraved so could be carefully personalised. 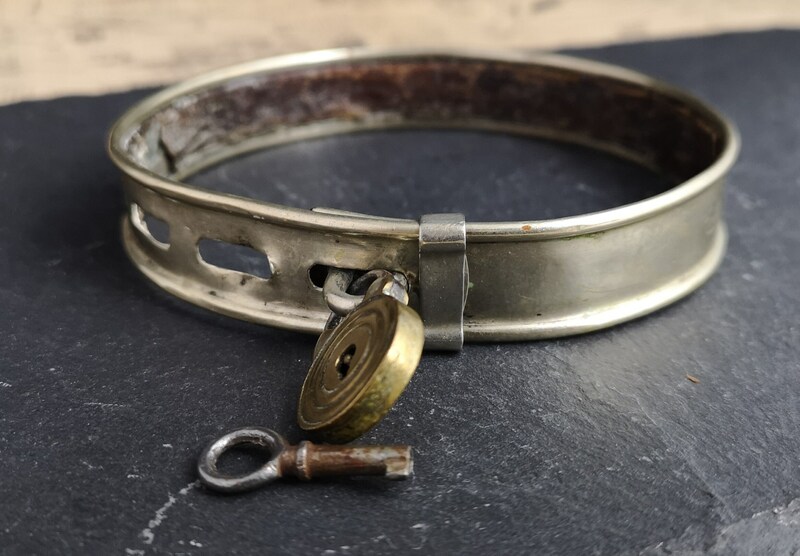 Condition is good overall, working lock and key, some wear and patina, slightly off round shape.